SFSC Panther Baseball Camps are designed to provide quality baseball instruction, with emphasis on fundamentals and improvement in all areas of the game. Each day, campers will have the opportunity to improve their skills and softball knowledge with the help of our qualified staff. Glove, cap, bat, and any baseball attire desired. Camp location is at the SFSC Panther Field on the Highlands Campus, in Avon Park. *Please mark all items with the camper’s name. The camp is not responsible for lost items. Mail enclosed application for admissions form to the address on the application. To register by phone call one of our Panther camp lines. Walk-up registrations are accepted. The camp cost is $85 per week. Contact Coach Hitt regarding team discounts. All camp participants will receive a camp t-shirt. 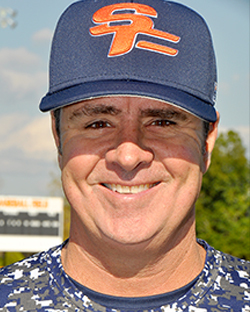 SFSC Head Baseball Coach Rick Hitt will serve as camp director. Instructors include members of the Panther baseball team. You can reach Coach Hitt by phone or by email: hittr@southflorida.edu.